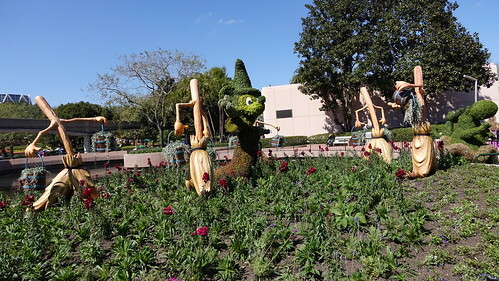 I visited Epcot on February 18, 2016 to see if some of the flowers and topiaries were already installed for the Flower and Garden Festival that begins officially on March 2. Usually they open the food booths a day early, in case you’re there. I thought I’d share my grand afternoon with you. 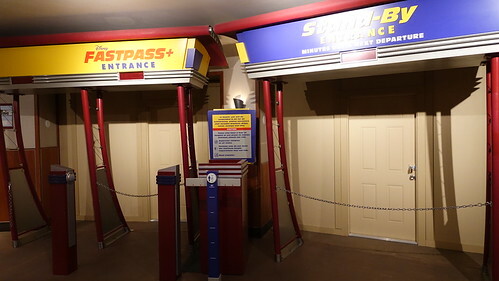 My 6 mile walk began with a Fastpass for the History of Disney Blogging attraction. Scene one shows my efforts from 2012 with my attempts at communicating character info on cave drawings. 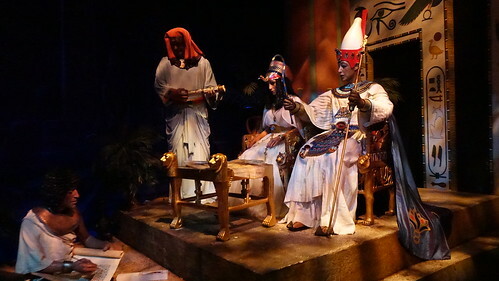 Here in 2013 I’m tapping out the papyrus while the Kings of Disneydom overlook. 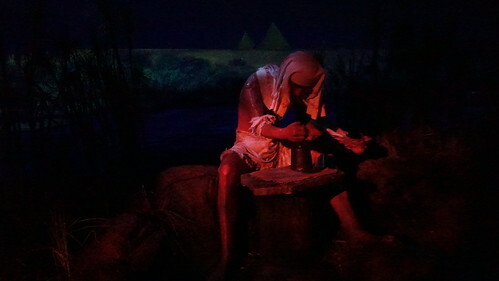 After my ritual of shouting “thank you Phoenicians!” at the top of my lungs, I continued through the next few years of Disney blogging until I set new records each year. Seriously, I need to upgrade from the 1984 computer. Actually my t key on my laptop is broken, so I copy and paste t and T a lot. I guess I should start a gofundme for a computer that doesn’t pre-date the beginning of the blog. SSE broke down for a while, so I enjoyed my view of the globe for 6.23 minutes. If you click on any photo, you’ll see the unedited, full-sized photo in Flickr. Some are okay, others are blurry. It’s the real life of bloggerdom! 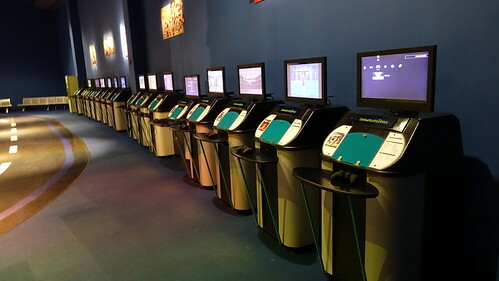 I walked through what used to be Innoventions West to find absolutely NO ONE around the Chase Disney Visa meet or the fabulous video game areas. And plenty of benches to sleep on. 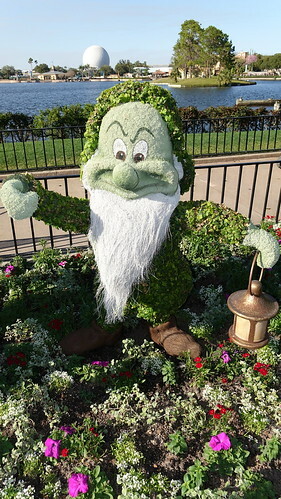 I made my way around the corner to the utterly confusing Epcot Character Spot. 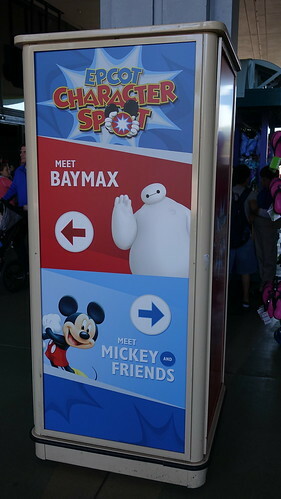 So many people were asking how to use their Fastpass or going to the Fastpass kiosk next to Baymax to wait in line. 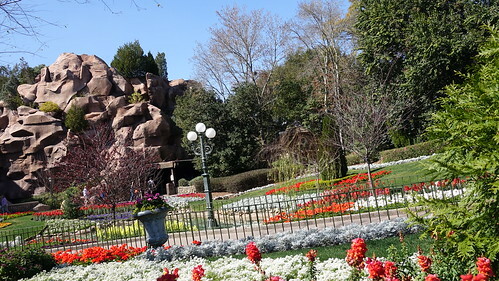 Mickey and the Gang have FP+, Baymax does not. Mickey and gang on one side and Baymax on other. Baymax had a nice line going around 1pm, but his line moves really quickly because its a fist bump or hug, photo and move on. 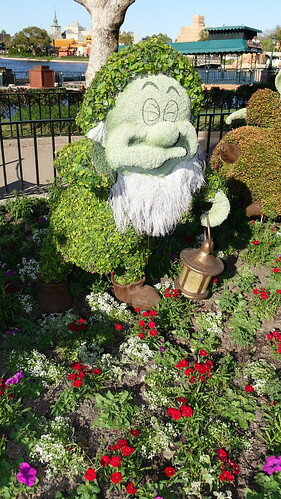 Don’t be annoyed by the Cast Members providing a ton of directions like no pins, no sticky things, no purses, no sharpened pencils, no one with untrimmed fingernails. CM is just doing the job peeps. 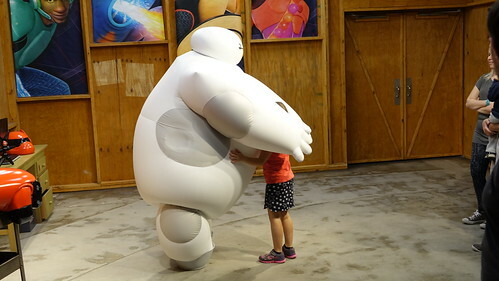 A Baymax hug. I looked like that until I began my recent diet. 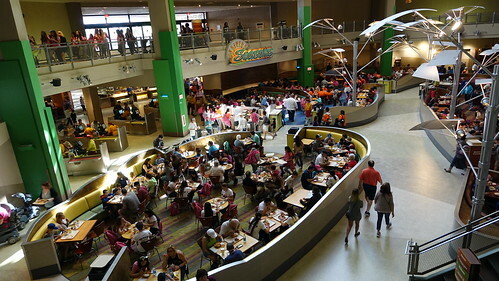 I headed over to the Land Pavilion to see what was going on since Soarin’ and the uber amazing Circle of Life film are closed. One lady asked why the doors are closed. Of course, she didn’t know those doors don’t usually appear there. 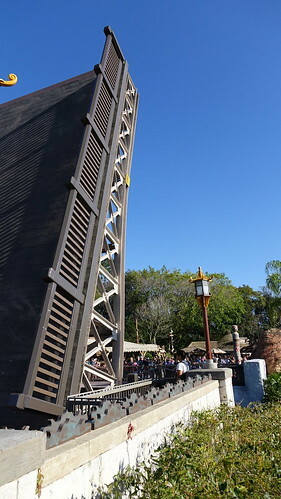 and a posted 10 minute wait for Living with the Land. I waited only 7 minutes. Come on people! 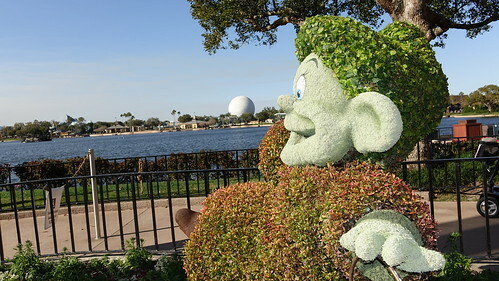 A kid behind me said, “Look it’s a hidden Mickey!” Dad deflated him by saying, “Doesn’t look hidden to me.” I guess they missed the hidden Epcot. 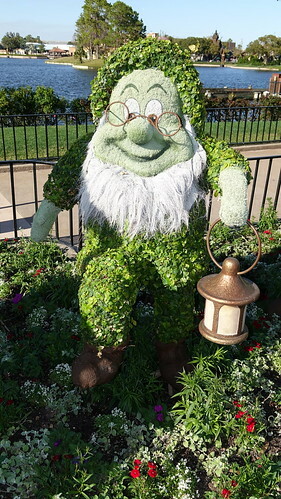 Maybe I should write a hidden Epcots book? 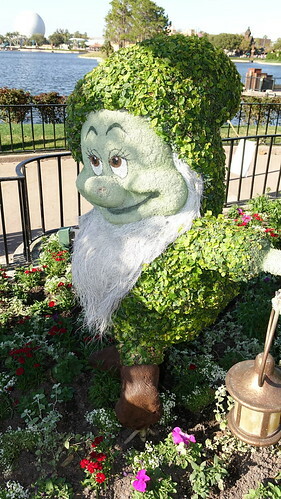 I then began my quest for flowers and topiaries. 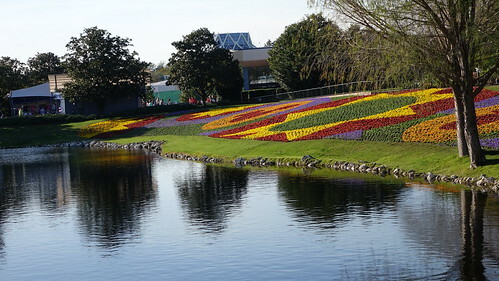 About the only times I visit Epcot are when they get something new, Spring and Fall. I’m a sucker for pretty things like flowers and my lovely wife. 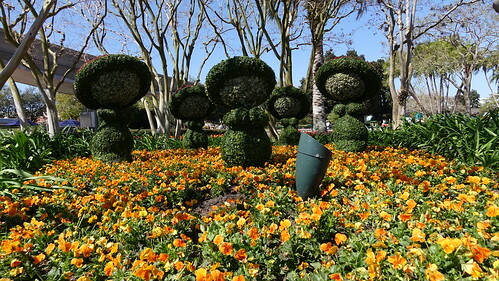 Fantasia topiaries are already installed behind Innoventions West and Club Cool. I watched the Quickstep guys performing in the United Kingdom while chowing on Fish n Chips. No worries, I drank water and walked 6 miles. I headed back over to Canada because I had not yet seen the tradnation group peform. Longest wait I had all day was for the stroller family to finish taking 62 selfies with all the flowers. 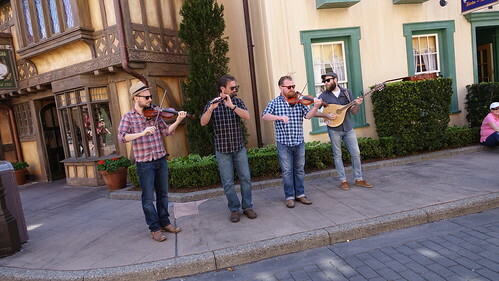 Okay, the music quality for this group is good. 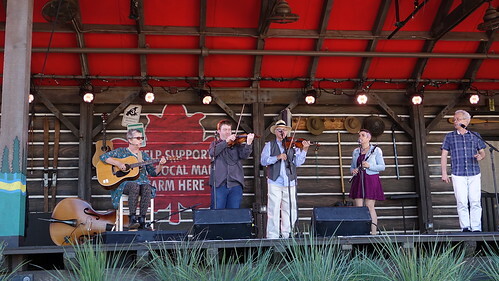 It has a country sound to it complete with the guy on the far right clogging a bunch. 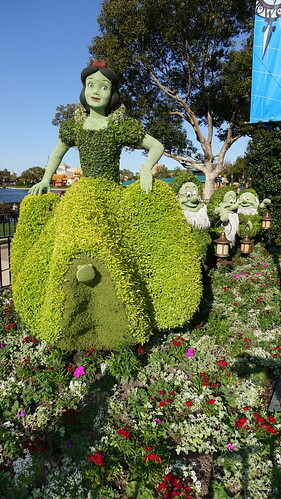 Usually Disney has an attractive young lady do those jobs, but he did it well. 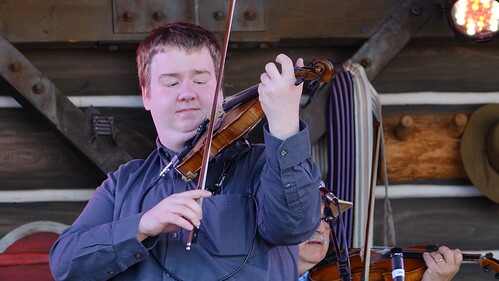 Young guy’s main jobs: Playing strings and lowering the average age. I don’t want to bash a country sounding group singing French lyrics, but could be just bring back that group that really belongs here? It’s the second attempt in this area and neither were something I’d watch twice. It was 2:30pm when I left Canada and headed back toward the UK. 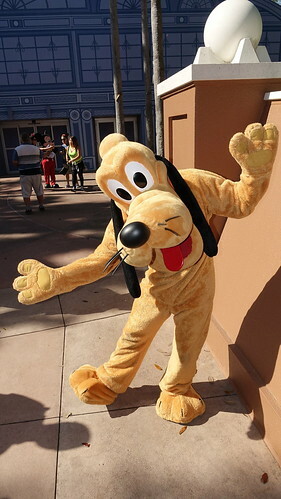 World Showplace gates flung open for me and characters abounded just to meet me. Okay, I’m kidding. It was a training meet and I arrived at exactly the right time. 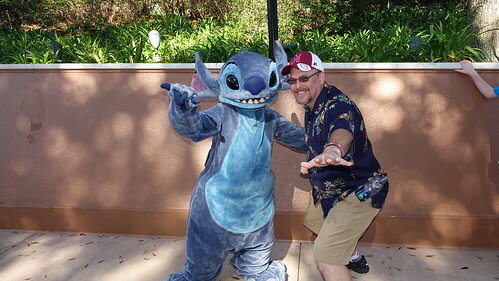 Stitch and I hanging 10. I learned this in Hawaii. I never actually surfed, but I did learn this cool pose. 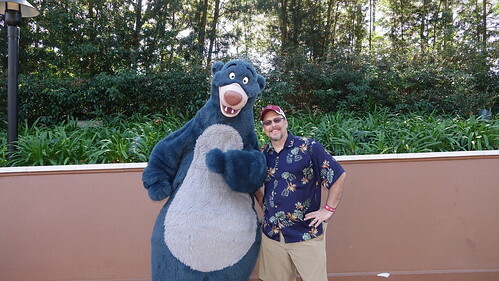 Some others were out including Goofy and tigger. See it’s that stupid t key! 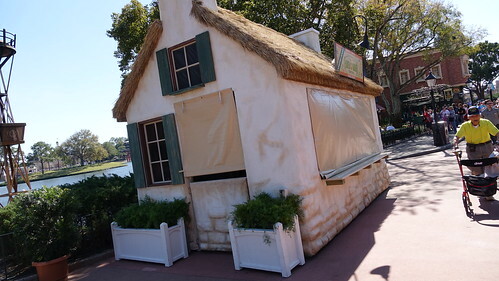 Several of the Outdoor Kitchens were already set up. I’m going to call my BBQ grill an “Outdoor Kitchen” this summer! 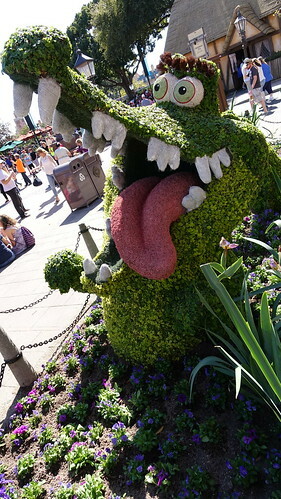 Captain Hook and the tic tock Croc were already up in the UK. Could someone move this tree? It’s ruining my shot. He seems eager to try. 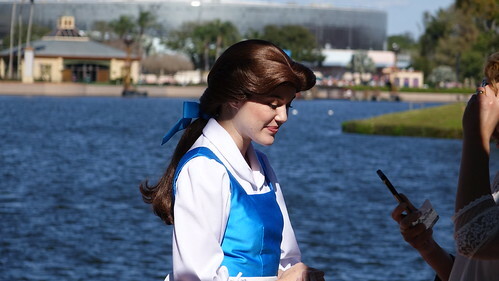 Belle was out meeting her fans. 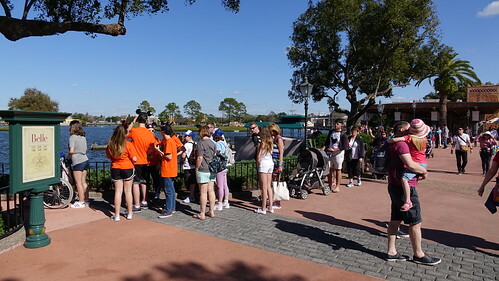 Most of them occupy single and double strollers which create a long line. 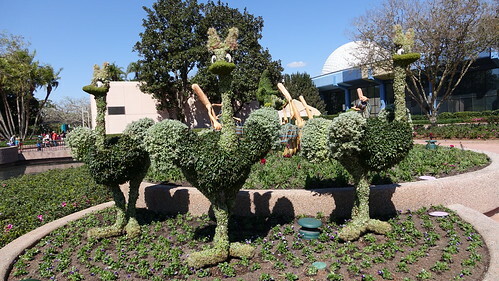 I think they forgot to subscribe to Character Locator before their trip! I observed the American Music Machine. Beatbox guy with dreds is amazing. He’s like that dude that used to appear in all the comedy cop movies, but he can sing. It’s an acappella performance (are you hearing Barney Fife in your head too?) and he sings too. Musically, they are very good, but didn’t seem to really connect with each other on the duets. At least they weren’t pitchy, dawg. 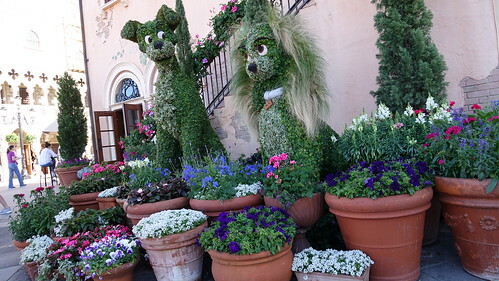 Speaking of dawgs, these guys are already installed in Italy. Makes you want to share a plate of spaghetti with maple syrup with your loved one. Snow White and her 7 small, rich guys are ready for photos in Germany. I’m glad they pointed them in the other direction this year to catch the afternoon sun. Snow was looking a little pale last year. First guy looks like I did while I was working all those night shifts. Glad that is over! See, the photos look better without the tree right behind them. I forgot to do a serious tilt though. 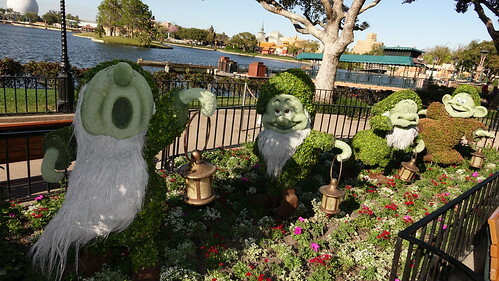 Why does Dopey get all the attention!!! 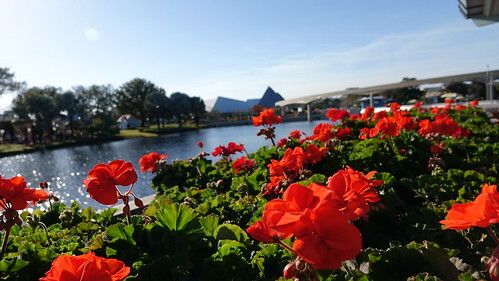 Did you know that every day at 4pm Epcot raises the bridge between China and Africa/Australia or whatever that area is supposed to be. 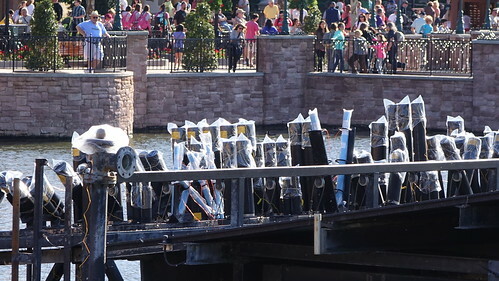 Why, because they need to move all the barges through to set them up for Illuminations: Reflections of Earth. It’s kind of cool to see them up close. 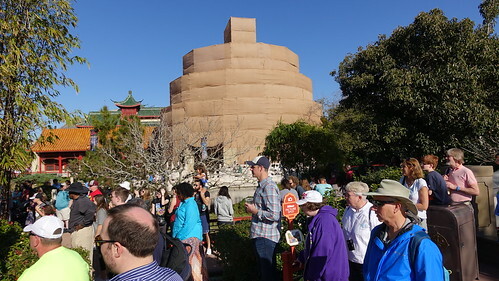 China temple thingy is still behind tarps. No theme here because Shanghai took all the money. And you wonder why there’s a word called Shanghai’d??? 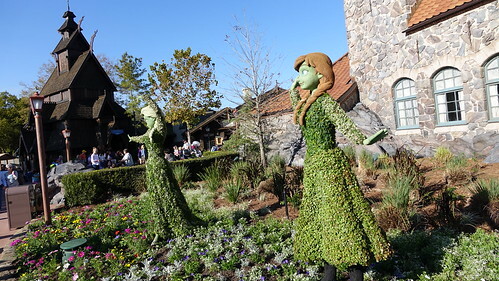 Anna and Elsa moved to the area beside the Norway pavilion this year. Elsa will get her revenge as temperatures fall again next week and Cast Members have to place protective blankets all over the foliage. 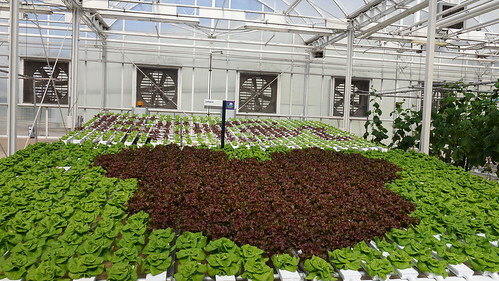 It’s a tremendous amount of work to try to save plants. Hopefully, it won’t drop that far. 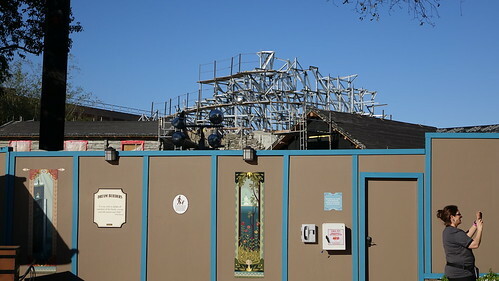 Maelstrom is gone and the new ride is still being worked on. Enjoy the tarp that was installed before the massive budget cuts. 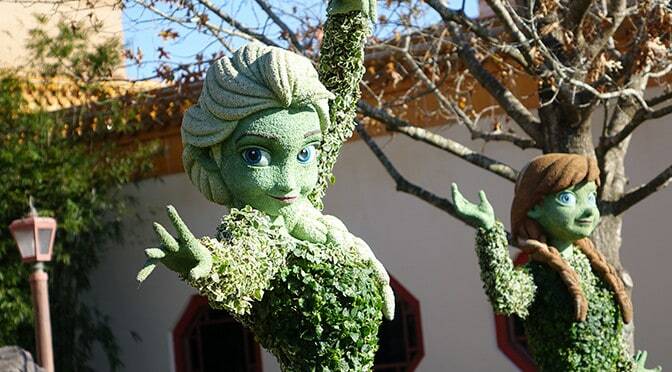 So, Anna and Elsa are supposed to have a meet and greet here and it was supposed to open in early May? 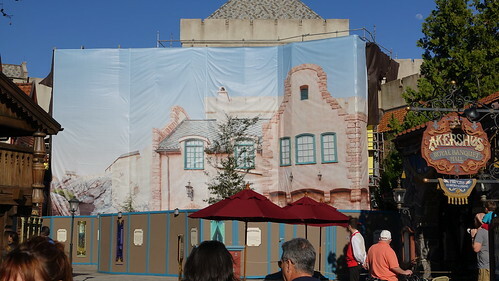 Hmmm, looks like yet another theme park building delay. Did it go over budget as well? 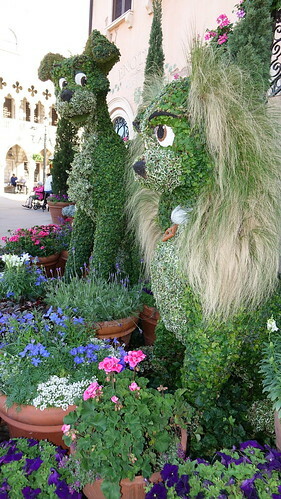 Here’s a couple more flowery shots for you to enjoy with your scone and latte this morning. 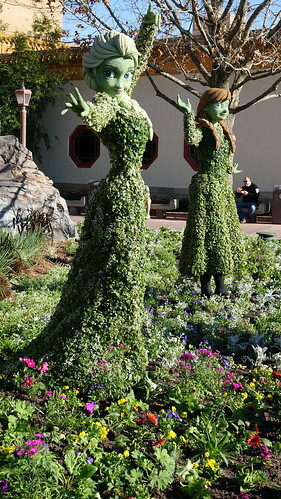 Well, enjoy your day and share this post with anyone you know who loves flowers and witty writing. 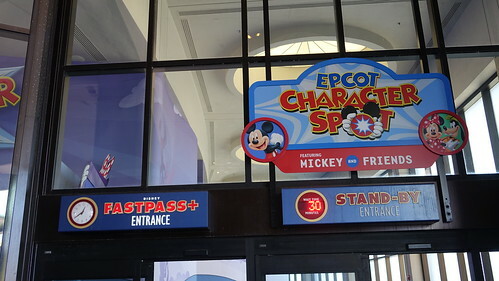 I have a fastpass for character spot since I can’t do Mission Space with Test Track and Spaceship Earth anymore, but I thought it was for Baymax too. 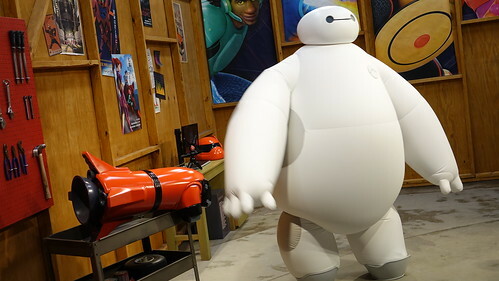 Is Baymax not fastpass? 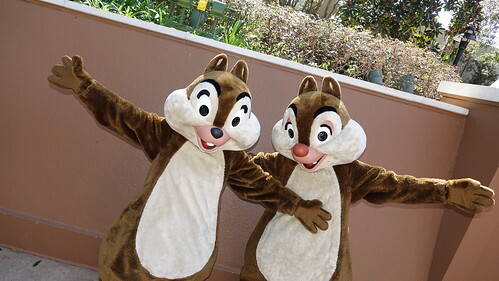 If not, I need to cancel that fastpass because we are doing several character dinners with mickey and minnie anyway. Thanks! 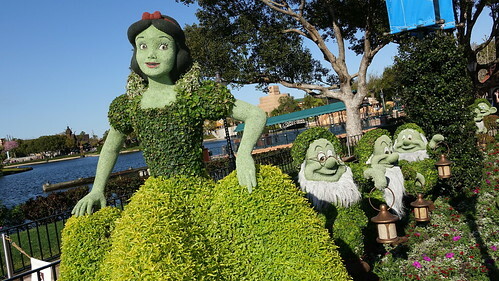 Snow White and the Seven Dwarfs are soooo cute! I can’t wait! 33 days to go! I loved the comment about the family with all the selfies. 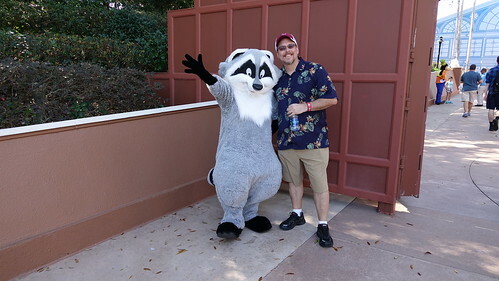 We ran into a family like that at a character breakfast at Universal. They took 100 photos then jumped in when it was our turn and took more! Sooo annoying! KtP, you crack me up! Thanks for the write up today! 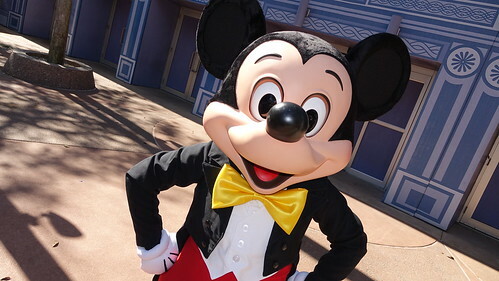 Looking forward to our trip in a week – only MK for us this time and some time on the Disney Magic! 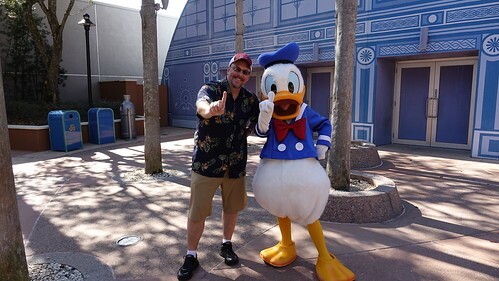 Hey guys…look, Kenny was right, Joy IS coming to Disney…in a week! Just kidding! LOL! Have fun Joy! Great way to start my day. I giggled my way thru this post. Blogging is way better than 12p -8a shift. Thanks Kenny the photos are just what I needed with my latte. Welcome. I was working 9pm to 7:30am before I stepped away from it to provide more assistance to you guys. 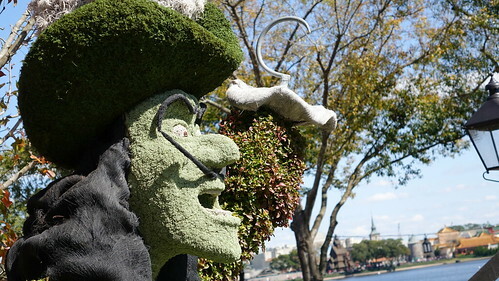 If delays are a sign of budget cuts, then what does all the early and on-time prep for the Flower Show mean? Delays aren’t a sign of budget cuts. 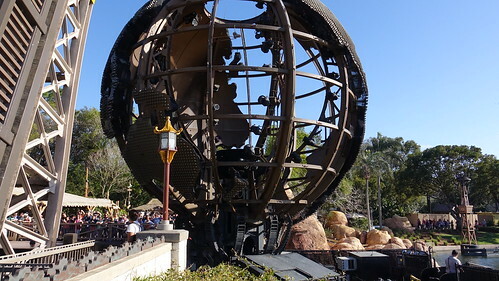 Delays are a sign that almost every theme park makes an ambitious plan and misses the date and either sets the budget to low or wastes unncessary money. Noooooo. 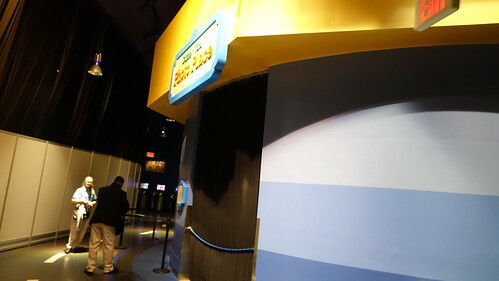 The Frozen ride was to open around the 7th on May. Is there a new date?? 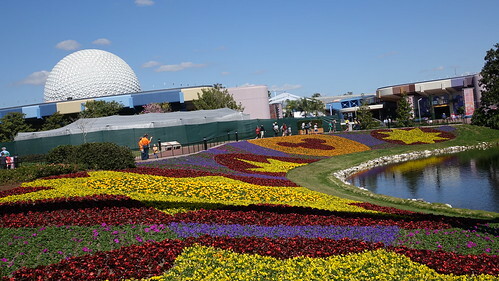 Great preview of the upcoming Epcot Flower & Garden Festival. Appreciate all of your inside information behind the scenes. 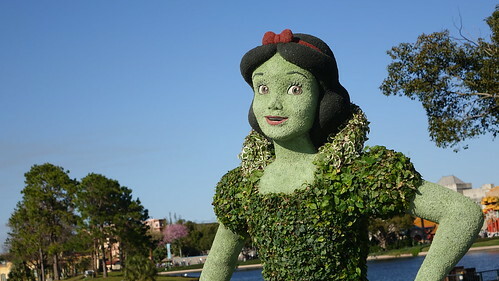 We are native Floridians who have been visiting Disney World since it was created. 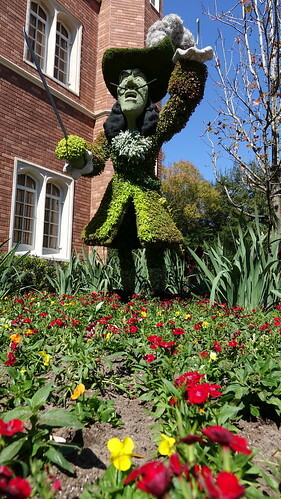 Our next visit will be March 2nd and 3rd, the first day of EFGF on the 2nd and we will do the Keys to the Kingdom tour on the 3rd. Our first time ever behind the scenes. We are excited. 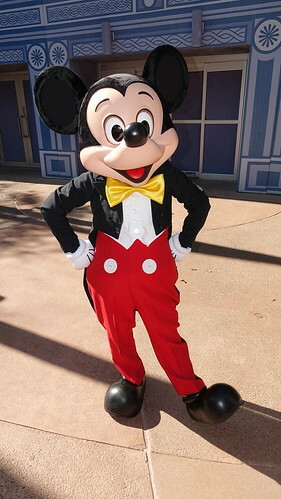 Can you help a now “senior” Disney fan and tell the “suits” that American Music Machine needs to go somewhere else. 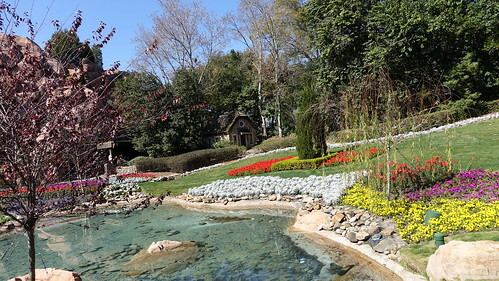 Put the American Adventure (Experience?) 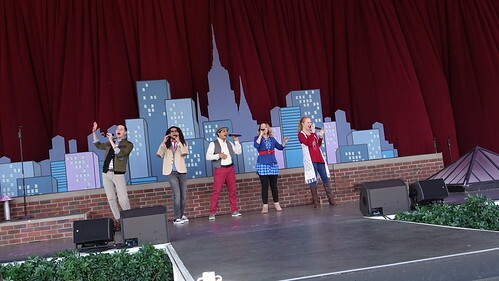 singers back outside where they belong. 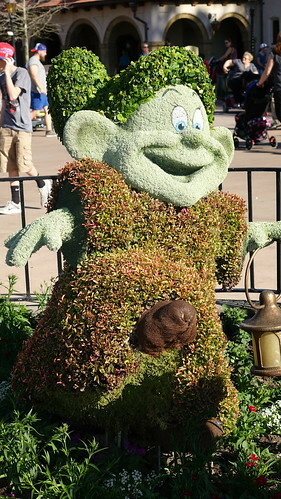 Thanks for providing experienced Disney fans with your inside knowledge. Voices of Liberty perform daily in the Rotunda where they have for many, many years. 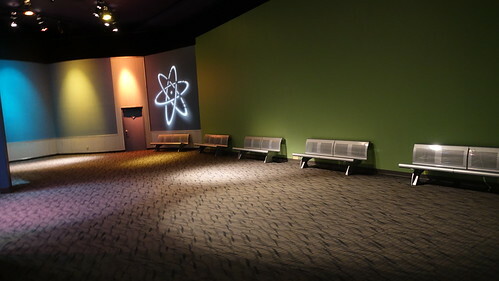 Only in last 2 years have they done sets in large theater.